Despite the cold weather, harsh winds and snow, I have sent many people out fishing in the past week by simply issuing them a a 2013 fishing license, and handing off a basic assortment of nymphs and streamers, including a new leader, a spool of tippet and a few thingamabobbers. Fishing this time of year presents many challenges but if you’re willing to brave frozen fingers and cold feet the wild browns on the Gunpowder River are more than willing to cooperate. Usually in the winter months the flows are in the 30-60 CFs range, but in the past week the River has been closer to 250 to 150 CFs–a great flow for throwing streamers and heavy nymphs. Flows like this are to be celebrated and deserve attention by fisherman who are starting to get bit by the “fishing bug.” I’ve been out the past four days and have been able to pick up a fish or two each day by nymphing with stonefly and zebra midge patterns. One of the keys to fishing now is to get your flies to the bottom quickly while “slowing down” your fishing. Fisherman that do this should have many productive days on the water ahead of them. I’ll be fishing more in the coming year-will you? Please note: If you need a license to ring in the New Year you may purchase a fishing or hunting license online or by phone at 855-855-3906. 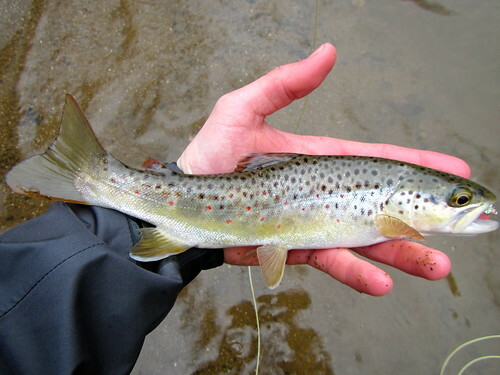 If you’ll be fishing the Gunpowder you’ll need a non-tidal, (freshwater) license and a trout stamp. 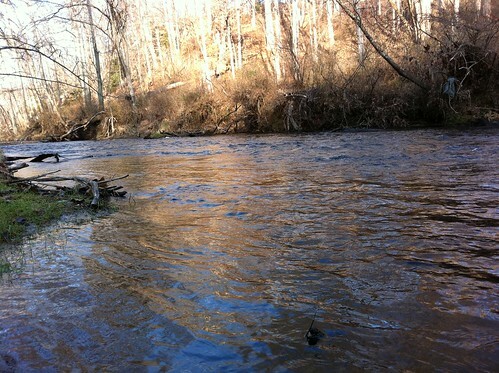 This entry was posted in fishing report on December 31, 2012 by Josh Reider. In 2012, Gunpowder RIVERKEEPER® marks the 40th anniversary of the Clean Water Act….The RIVERKEEPER® movement was started on the Hudson by commercial fisherman that successfully used The River and Harbors Act to to fight industrial pollution and to protect their right to fish and their livelihood. The movement has gained legs since The Clean Water Act, a document whose goals mandated fishable, swimmable and drinkable water was enacted in 1972. 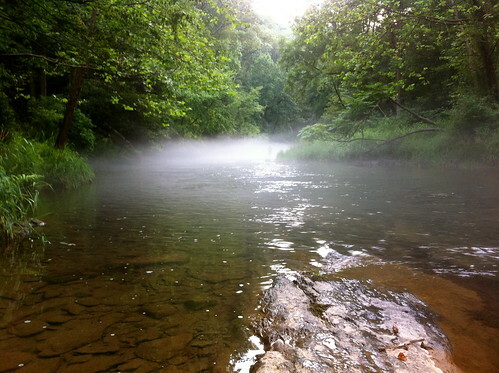 In 2012, GRK has been working on several fronts to protect the Gunpowder River and keep it fishable, swimmable and drinkable for all users and future generations. Eagle Scout project by GRK volunteer Tyler Gee who built 8 wader wash stations and placed them at fishing access points along the Gunpowder River; GRK volunteers and Chesapeake Women Anglers members posted catch and release and “no bait” signs throughout the catch and release section of the River in Gunpowder State Park; Reported to Cockeysville Precinct and Baltimore City Watershed Police on community impacts of commercial tubing; Sampled the watershed with 11 volunteers for MDDNR Stream Waders Program. Gave testimony before Baltimore County Circuit Court on impacts of widespread commercial tubing traffic to the Gunpowder River and the surrounding community; Attended Regional, (Baltimore, Harford and Carroll County) Watershed Implementation Plan and Total Maximum Daily Load meetings to discuss implementation of the EPA’s Chesapeake Bay Pollution Diet; GRK was approved by the Secretary of Natural Resources and Secretary of the Environment as a member of the State Water Quality Advisory Committee; Lead a panel discussion on the Invasive Species Didymo at the Joint River Network Waterkeeper Alliance Annual Conference in Portland, Oregon. Appeared in a Maryland Public Television Nightly Business Report feature; Appeared on Fox 45 expressing concerns about the Columbia Pipeline Project; Appeared on WJZ 13 at Lefty Kreh Trail Fishing Trail Ceremony segment. Interviewed on the Marc Steiner Show on 88.9 FM and Mary Beth Marsden show on 1090 AM about environmental impacts of commercial tubing on the Gunpowder River. Interviewed by Michael Buckley on WRNR 103.1 for Voices of the Chesapeake Bay. GRK also signed on to important regulatory comment letters related to pesticides;manure and fertilizer application on farm fields; MS4 (Stormwater) permits; a Department of Energy application for the Cove Point Terminal to export LNG; a public interest letter regarding disposal of coal ash, and a letter to the editor of Baltimore Sun regarding the environmental impacts of the export of “Fracked” natural gas. “in the past year four public swimming beaches and many private beaches in the tidal Gunpowder River, Bird River and Middle River area have been adversely impacted by high bacteria counts. The beach at Hammerman State Park, part of the Gunpowder State Park System was closed for nearly two months in the fall of 2011 owing to high bacteria counts. Beach closures, while widely unpopular with municipalities, parks and patrons serve a vital function in protecting participants of water-based activities from exposure to bacteria and pathogens that can cause serious human health risks. GRK requested a public hearing on Maryland Department of the Environments 2012 Integrated Report and formally asked MDE to consider stakeholder input and expand public notice requirements in the 2012 Integrated report mass recharacterization of 139 water segments on the federal 303(d) impaired list. 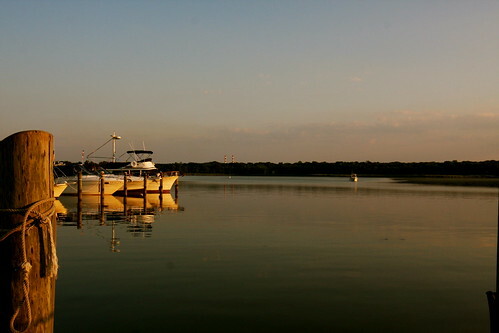 Fourteen other WATERKEEPERS in the Chesapeake Bay region signed on to GRK’s comment letter to MDE. Our projects, outreach and advocacy is strengthened by your support. 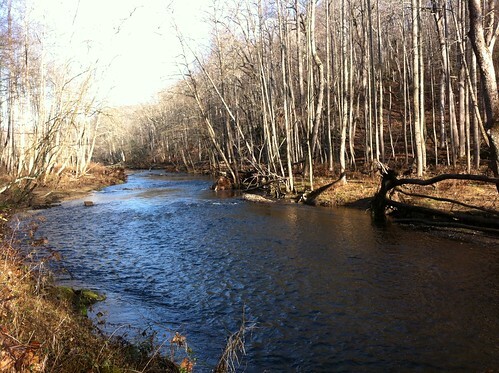 Please consider an end of the year donation via PAYPAL to become a member and further the cause of protecting the Gunpowder River for future generations. This entry was posted in news on December 30, 2012 by Theaux Le Gardeur. Thanks to Michael Buckley joining me on the Gunpowder River this week. Check out Voices of the Bay with Michael Buckley on 103.1 WRNR out of Annapolis When you get to the site, just hit the listen live button to check out the interview.We’ll be posting links to iTunesU for the archived segments soon! The Voices of the Chesapeake Bay Interview Project is created to help us further develop our ‘sense of place.’ The Voices Project is ongoing, inherently ‘inclusive’ and well-rounded, giving us the ability to see our bio-region, the Chesapeake Bay watershed, from a variety of perspectives and points of view. With this ability we can fully and truly appreciate this incredible place called the Chesapeake Bay. With the Mayan Apocalypse and more importantly, last minute holiday shopping behind us, anglers throughout the Mid Atlantic may find themselves bundled up and thinking about warmer locations and more cooperative fish. We have recently been outfitting folks heading to Belize, the Caribbean, South Carolina, New Zealand, South Florida and the Keys. I was fortunate enough to escape the Mid-Atlantic cold for a week of fishing on Grand Bahama Island. 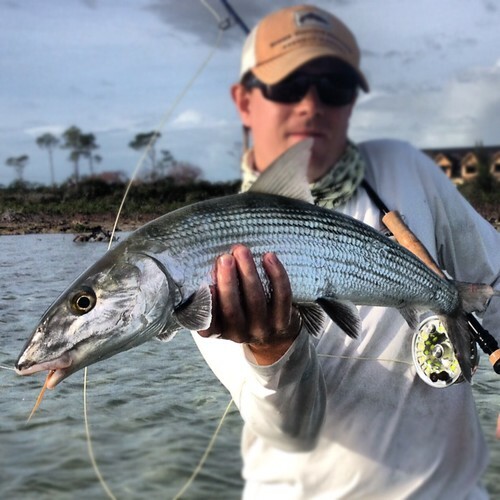 While generally not as well publicized as other bonefish destinations in the Bahamas, Grand Bahama is home to some of best guides and oldest fly fishing lodges in the Caribbean and is one very special fishery. GBI does not have the endless white sand or marled flats that some of the other islands do but what it lacks in sprawling wadeable flats it more than makes up for in abundance and size of fish. 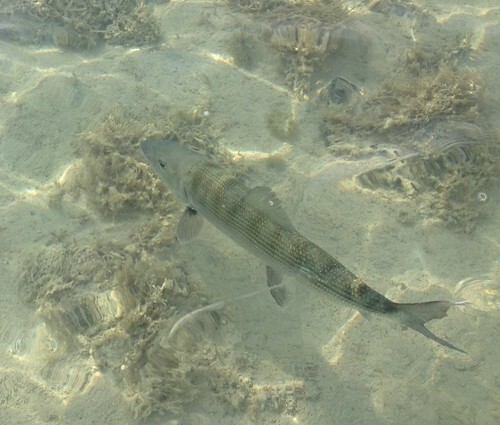 One can expect dependable shots at double digit and even teen-sized bonefish on the north and east sides of the island. While there, I fished with a guide and waded on my own and would highly recommend fishing with a one of the island’s many established bonefishing operations. The local guides will lead you into the most productive areas and put you onto countless fish that you might otherwise miss going solo. That being said, I found enough fish on my own wading the islands south side beach flats to keep me busy for the rest of the week. 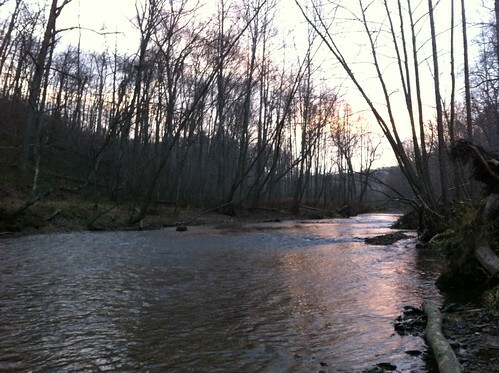 This entry was posted in fishing report on December 29, 2012 by Mike Colegrove. Stop in Backwater Angler and pick up a Maryland fishing license this Saturday, Sunday or Monday from 10AM till 4PM. 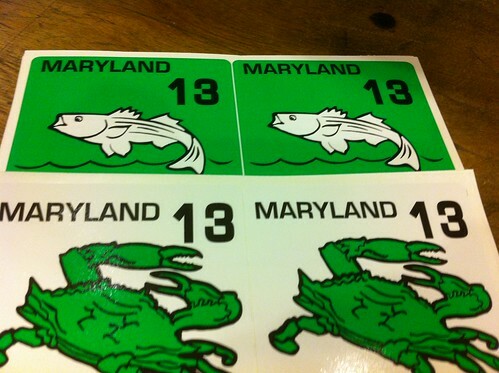 We now have a ready supply of Crabbing and Bay Sport Pleasure Boat Stickers. If you miss us you may purchase a fishing or hunting license online or by phone at 855-855-3906. 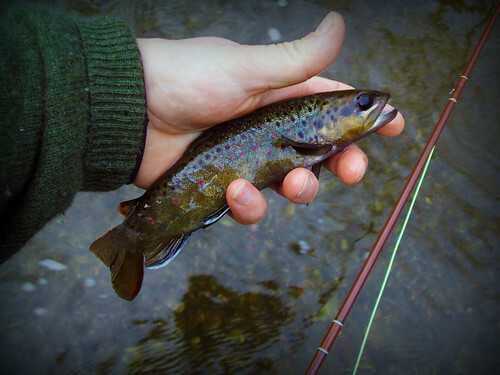 If you’ll be fishing the Gunpowder you’ll need a non-tidal, (freshwater) license and a trout stamp. The shop will be closed on New Years day and on Wednesday the 2nd. This entry was posted in news on December 28, 2012 by Theaux Le Gardeur. The Gunpowder River is flowing at 315 CFs and is 44.5 degrees. If you find yourself trying to squeeze in some fly fishing in Maryland before New Years stop by the shop and pick up a new pair of Patagonia merino wool socks before you hit the river. Keep in mind that most of the snow that arrived Christmas Eve is gone and the river is colder and higher because of it. York Rd downstream was muddy and high this morning. Fishing streamers above Bunkerhill Rd through the Falls Rd access points has been productive. Dead drifting these patterns with a sink-tip line or a 5 to 10 foot Airflo sinking polyleaders is the best way to cover the boulder pools. Upstream of Masemore, BWO’s in the #20-22 range have been coming off sporadically on warmer days. Mike Bachkosky’s BWO para-spinner is a great hi-vis pattern and his Phunny emerger in a #18 fished with Grey Zebra midge will cover the Olives and the Black Flies. A Rengade or Griffith’s in a #16 is easier to fish than the tiny stuff and should work fine in the shallow riffles. This time of year, a pair of small Prince nymphs are always a good bet-especially with some Loon Deep Soft Weight in front of them. This entry was posted in fishing report on December 27, 2012 by Theaux Le Gardeur. Thanks again for helping me find the perfect line for the old Fenwick. I could not be more happy about how it performed. 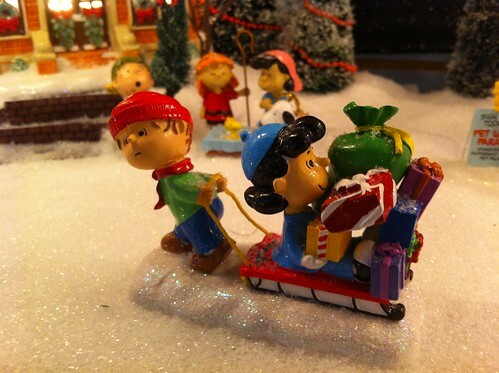 This entry was posted in gear on December 23, 2012 by Theaux Le Gardeur. This entry was posted in news on December 21, 2012 by Theaux Le Gardeur. The shop just received a shipment of fresh hats from Imperial Headwear. Choose a waxed cotton hat at $29 to get you through the chill of winter, a cotton twill digi-camo to become one with your surroundings or a solid color at $25 to stand out from the crowd. 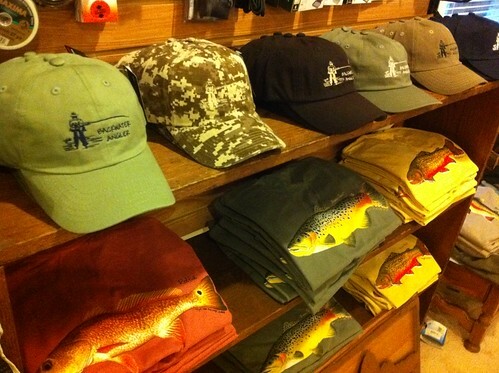 If you have not been in the shop to check out the BWA logo Fish Lady shirts! 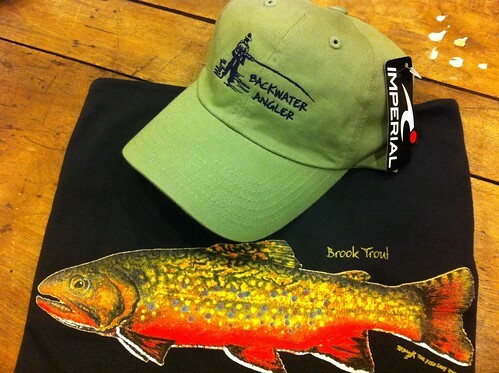 We have all Brook trout, Brown trout and Rainbow trout shirts available in black in long at $26 and short sleeves at $23. This entry was posted in gear on December 19, 2012 by Theaux Le Gardeur. 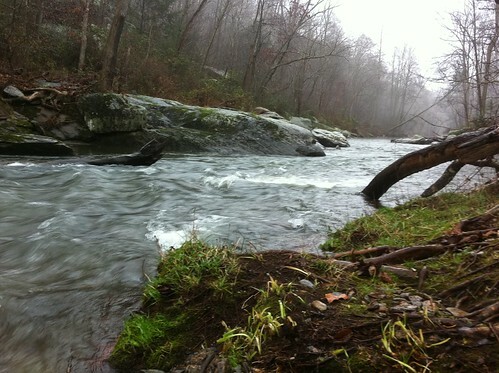 The Gunpowder river is flowing at 309 CFs, is clear enough upstream of Masemore and slightly off color and 46 degrees. Recent rains, accompanied by spillover from Pretty Boy Dam have moved the river level up overnight. Typically, with the winter solstice comes the first glimpse of early brown and little black stoneflies. Black flies and zebra midges are also effective behind caddis larvae and small prince nymphs. Traditional streamer patterns like zonkers in a sz #4 are a good bet. 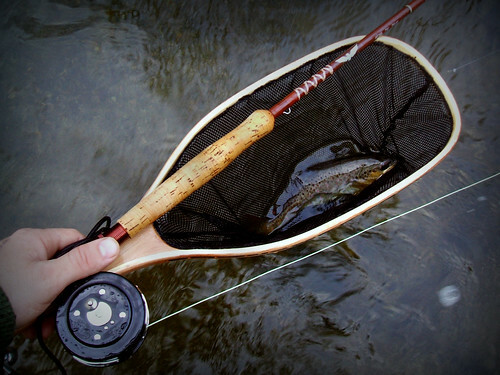 Fly fishing during the holidays will be tough until the wind knocks down. This entry was posted in fishing report on December 18, 2012 by Theaux Le Gardeur.